You want everyone to enjoy your special Wedding Day, including the little ones! 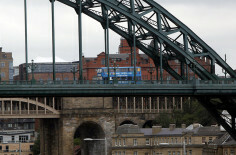 Then book the Double Decker Den soft play party bus to keep them entertained. Looking for a unique party idea for your children’s birthday, then look no further. 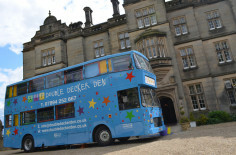 Double Decker Den is an amazing mobile soft play bus that comes to your location and provides a great party for up to 20 children. Our unique parties for children are a great idea and right outside your door! What an unforgettable party your children will have. No matter the weather, nothing can spoil their fun. We can provide party food, the party cake, party bags, invitations. All in one great package. All the action takes place at your house, with out any mess!